Welcome to MY PAPER PLANET. A range of unique decorations and party pieces. All original designs for parties & gifts. Please send a message for custom items. Pastel Bird gift tags. Easter, gift wrapping, birthday party, baby shower. ONEderland First Birthday Snowflake Banner. NB-12 Month photo garland. ONEderland Snowflake ONE Banner. Blush pink, silver. First Birthday party. Pastel Mini Gift Baskets. Birthday, baby shower favors, gift boxes, Easter eggs. Monkey Cupcake Toppers. Birthday, little monkey, jungle party. Party decor. Swan Princess ONE Banner. Birthday party, baby shower, first birthday. Rocket space banner. First birthday party. Birthday, baby shower. Rocket Cupcake Toppers in Blue. Birthday party, space party. Party decorations. Soccer Birthday card, Soccer ball, Football, Happy birthday greeting card. Chevron Arrows banner black & yellow. Construction party. Birthday, baby shower. Construction truck banner. Yellow & Black. Bunting, birthday party, baby shower. Red Strawberry Garland. 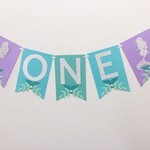 Birthday party decor, baby shower banner, bunting. 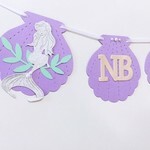 Mermaid ONE Banner. Birthday party, baby shower, first birthday, under the sea. First Birthday Mermaid Banner. NB-12 Month photo garland. Shells and mermaids. Koala Banner ONE. Happy Birthday, party bunting, Photo prop. Custom name banner. Koala gift tags. Koala and gum leaf. Birthday party, baby shower, gifts. Koala Cupcake toppers. Birthday party. Baby shower, first birthday, Australiana. Mountains and Bears Party Banner. Woodland, Adventure, Wild One.